I just had to share this with you folks. QUESTION: How does a liberal, empty suit President know when he's lost a debate so badly that he will lose the election? 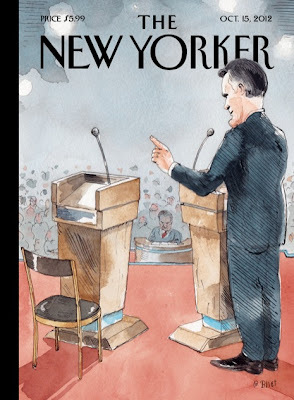 It appears that Clint Eastwood isn't the only one who thinks the President is an empty chair. This is a sneak peak at next weeks cover, courtesy of The New Yorker Cultural Desk. Now you know it's bad when a bastion of Northeastern liberal thought portrays the sitting President as and empty chair.